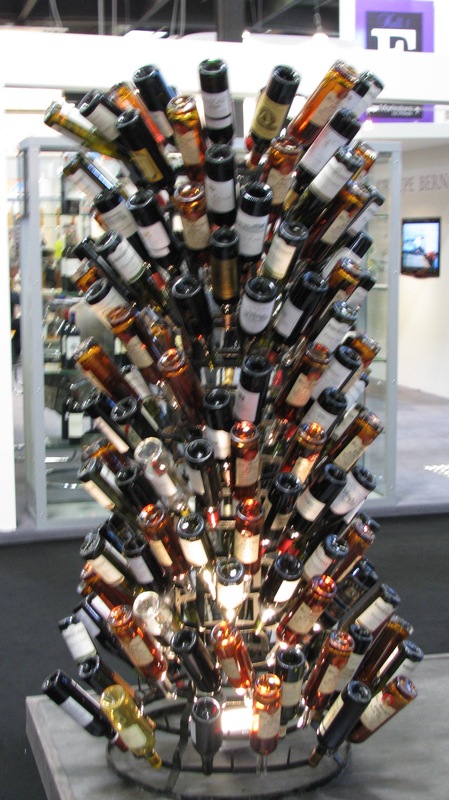 What should wine lovers expect in 2011? More debate over direct shipping, and hopefully we'll get that privilege here in Maryland this year. But will be able to order from out-of-state retailers, or just wineries? And will we be allowed to bring our own wines to restaurants in Maryland? Politics is likely to dominate debate in other states as well, as governors in Virginia and Pennsylvania try to privatize their states' liquor control regimes. Should the government be in charge of selling alcoholic beverages? It's a worthy question with no simple answer. Local wine will continue to gather buzz as well. The DrinkLocalWine.com conference focused blogger attention on Virginia last year - look for more this year when the Wine Bloggers Conference comes to Charlottesville - the Napa of the East. Consumers, of course, will continue to seek value. We've learned that we don't have to pay top dollar to get a really good wine - we just may have to search a little harder. $10 is the new $20, etc. And where will we find bargains this year? My prediction for the hot "new" bargain wine region is none other than France, as wines from the textbook 2009 vintage reach our retail shelves throughout the year. My January Recession Busters list in today's Washington Post already has a few French 09s, and you can expect many more throughout the year! My October series about Virginia and Maryland wines received praise from several readers, but also some complaints. One reader accused me of "pandering" to local winemakers and urged me to stick to writing about French wines, which he said provide better value at about 30% less in price. "Why buy inferior wines because they are local?" this reader asked. Of course, I never suggested anyone should buy an inferior wine simply because it is local. I merely said we should no longer assume a wine is inferior simply because it is local. And while I don't agree that local wines are as overpriced as some people say, I recognize that such a perception is out there. And in today's Washington Post Food section, I explain why I believe the best local wines are worth exploring, whatever the price. And of course, some Recession Buster recommendations. Washington Post Food Editor Joe Yonan - known in my house as "your boss" - walks the walk of the locavore/locapour issue in his "Quick Bites" feature on NBC-4 this week. Joe tastes some of the wines from the new Virginia wine page at Blue Duck Tavern, one of DC's most avidly locavore restaurants, and one I mentioned in my feature on local wines and local wine lists in yesterday's Food section. If I knew how to embed the video here, I would, but we'll have to settle for the link to the station's website. Nice shoutouts here for Rappahannock Cellars and Boxwood Winery. Why Aren't More Local Wines on Local Wine Lists? This is a question that can probably be asked wherever fine wines are made. In fact, it WAS raised last year in the San Francisco Chronicle, which reported complaints by North Coast vintners about restaurants that touted their local meats and produce but filled their lists with imported wines. Todd Kliman took the debate national this summer with his essay, "The Locavore Wine Hypocrisy," on thedailybeast.com. In today's Washington Post Food section, I look deeper into the question, and find some intriguing arguments on both sides to explain the problem. I also discover some area restaurants that are making the commitment to feature the local vino. Ampelography is one of the funniest sounding words in wine, a field that's full of potential puns and double entendres. It means simply, the study and identification of grapevines. And Lucie Morton is one of this country's leading ampelographers. But she's not just good at identifying grapevines - Morton identifies and wages war on grapevine pests and diseases. She is also a revered vineyard consultant here in the Eastern United States (though she also has clients in California and France). Think "revered" is a bit strong for a vineyard consultant? Well, check out my column on Lucie in this week's Washington Post Food section. Two of her clients use religious imagery while speaking of her - one calls her "our Moses leading us from the wilderness" while the other describes his "Road to Damascus moment" when he tasted a wine from one of her clients and became a convert to the gospel of high-density planting. And don't miss my recommendations of wines produced by some of her local clients. USA Today, the nation's newspaper, dropped at hotel room doors across the land every morning, last week endorsed the regional wine movement with a travel feature on 10 "local" wine regions to visit. This is a great idea - if your business or pleasure takes you to St. Louis, consider a detour to Hermann. Heading to New York? Linger awhile in the Finger Lakes. Taking your family to Washington, DC, for some American history, or Charlottesville, to see Jefferson's Monticello? Guess what? Wine country is just around the corner. The article is also a tribute to Regional Wine Week and DrinkLocalWine.com, as Jeff Siegel and I were interviewed about emerging wine regions across the country.